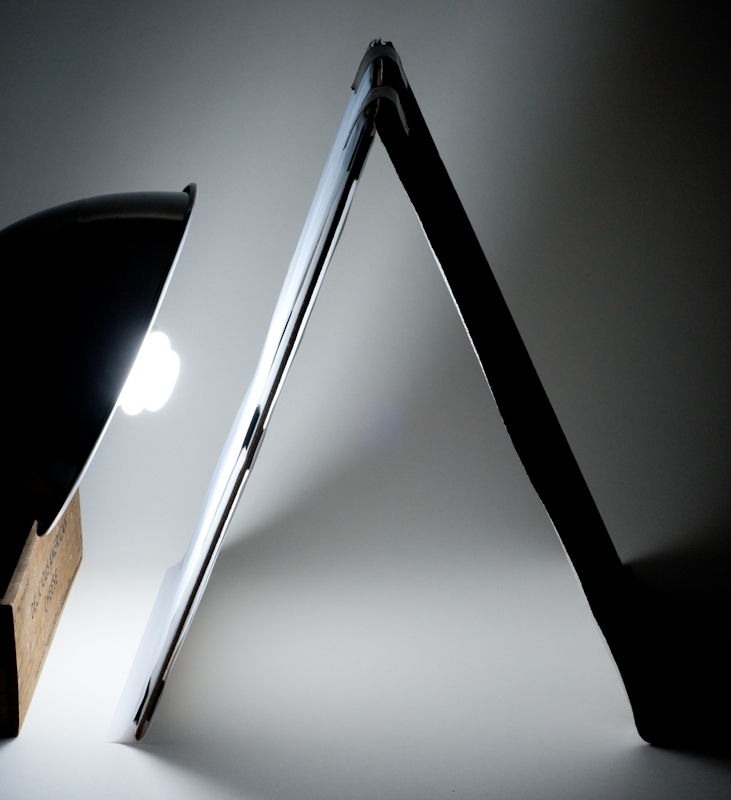 It doesn’t get any easier than this … A simple, single-bulb light tent for photographing your small items, any time of the day or night. I started by cutting an old cardboard box I had laying around the house. 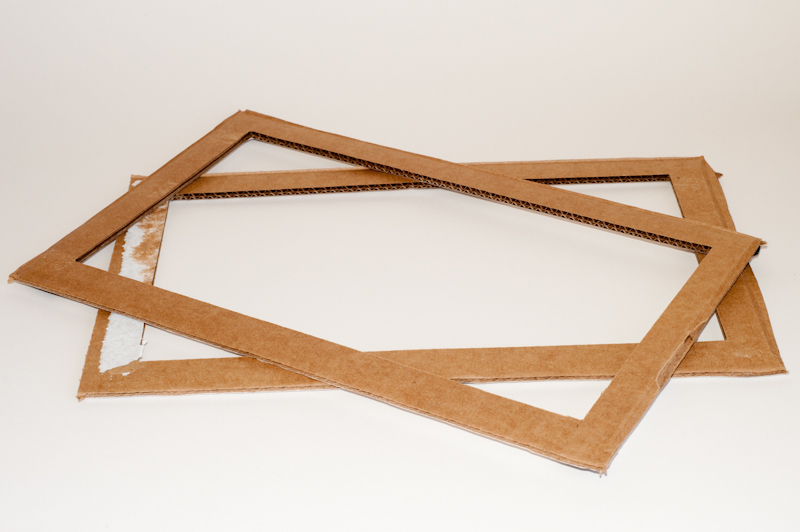 I ended up with two “frames,” about 11″ x 17″ on the outside and about 9″ x 15″ on the inside. Don’t try to match those dimensions — use whatever you have on hand. Next, I took two pieces of a diffuse fabric and “velcroed” (not a real word, but you get the idea) them onto both sides of one of the cardboard frames. I also velcroed a piece of reflective fabric onto one side (what will eventually be the “inside” of the tent) of the other frame. Then I taped the short edges of the frames together to make a hinge and stood the assembly up like so. You can only see the blue backside of the reflector fabric in the above image. 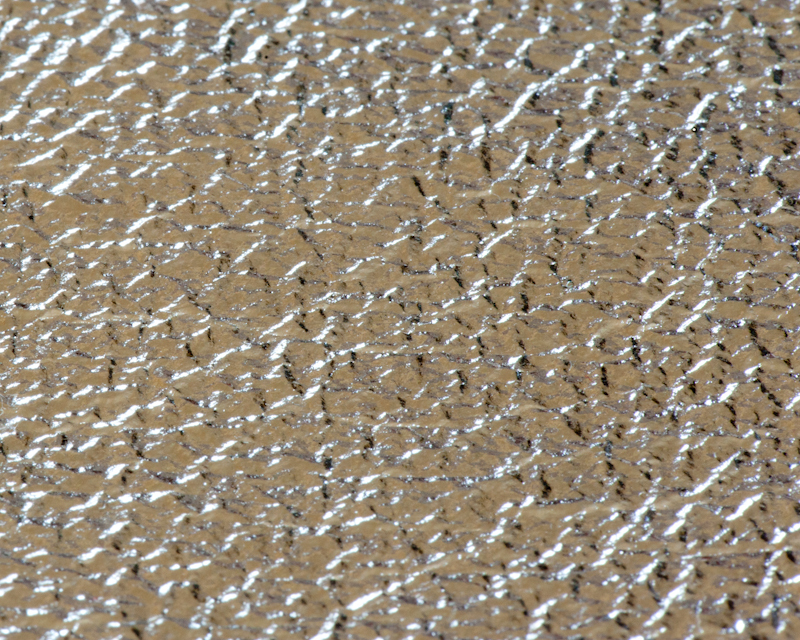 Here’s what the reflective surface on the inside of the tent looks like up close. Next, I put a 5600K bulb in a clamp reflector, aimed it at the diffuse side of my light tent, turned off all the other lights in the room (it was pitch black, except for the light coming from the single bulb), and got this. Notice how uniform and soft the lighting is in the area under the tent. Now, for the test. I don’t particularly like white backgrounds, so I put a warm and natural looking cork tile under the tent. 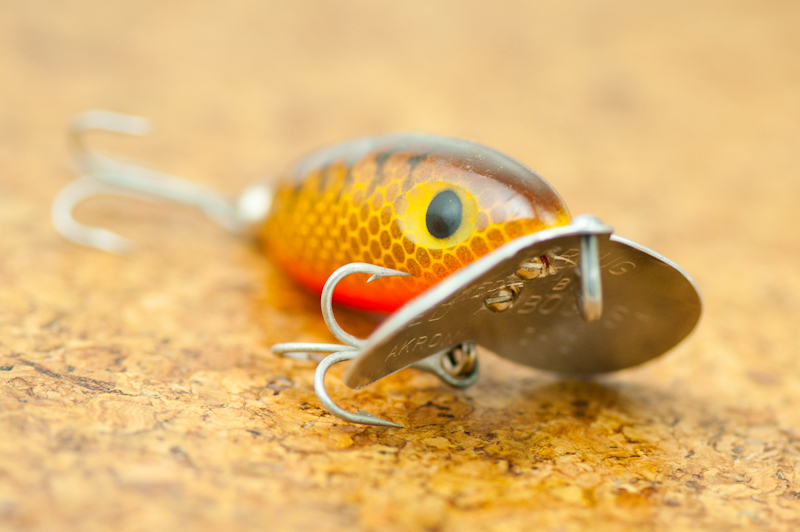 I chose to photograph a fishing lure called a Jitterbug, not only because it’s one of my favorites, but because the huge convex lip makes it a challenge to shoot without getting nasty shadows. Here’s the result – uniform lighting, good colors, subtle shadows and an overall pleasing shot. All that with one bulb! 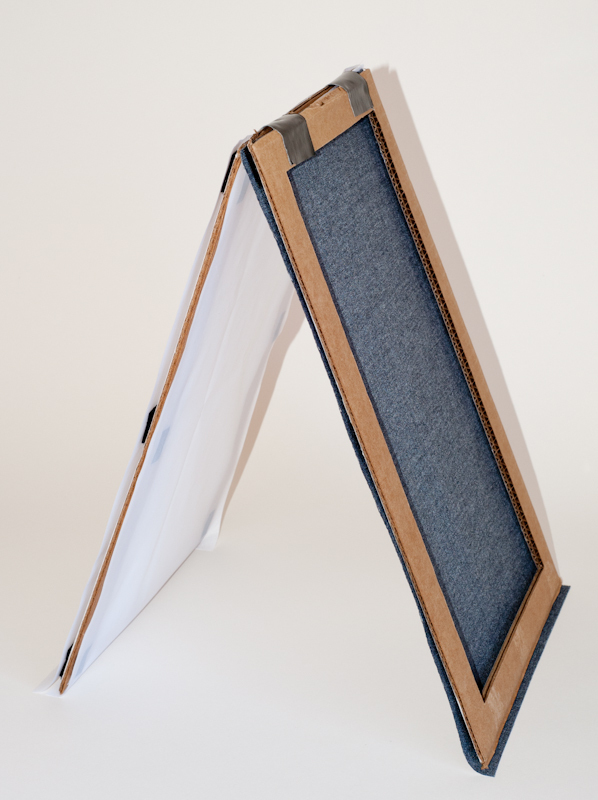 There are a few things to keep in mind when choosing your diffuser and reflector fabrics. Most importantly, they both must be relatively color-neutral (unless you’re going for a specific look). And the diffuser fabric needs to allow plenty of light through, without being so transparent that it looks like a flashlight is shining on your subject. Also, don’t worry about wrinkles — they can actually be beneficial. These materials are readily available at just about any local or chain fabric and craft store. If you want to save yourself some time and money experimenting with different fabrics, I offer the ones I used in this tutorial as part of a light tent kit in the supplies section of my Etsy shop. If you need an easy and inexpensive way to shoot small items, the give this setup a try. As always, feel free to contact me if you have any questions. Until next time … Happy Shooting!